Lots of questions from this interested group! 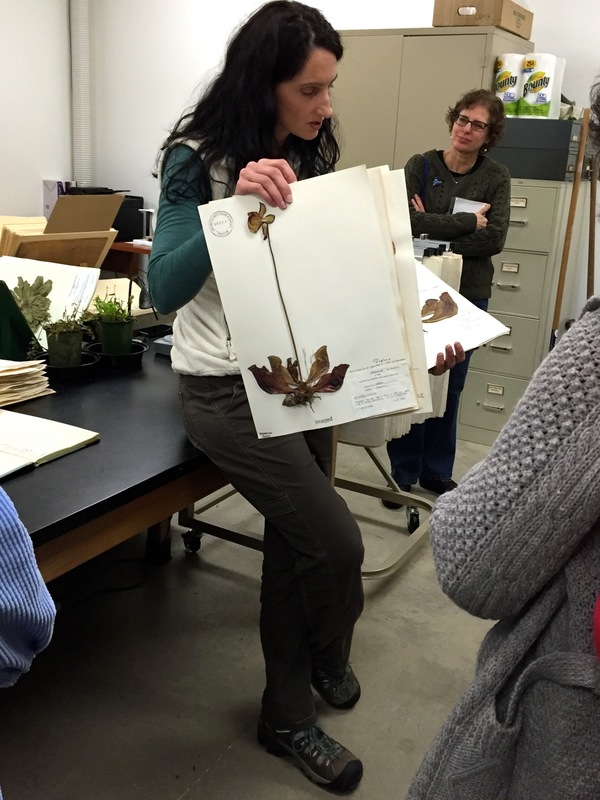 Field guides, topographical maps and dried plants  just a few tools of the trade for an herbarium botanist. 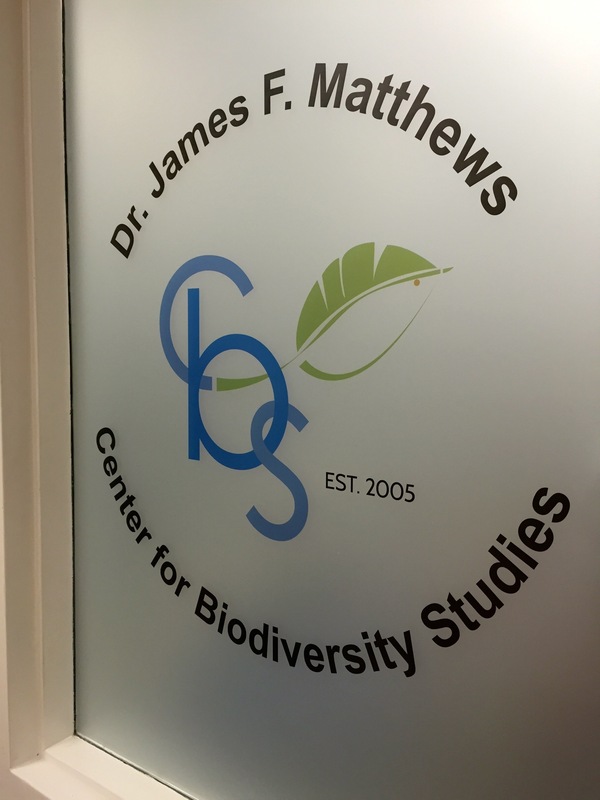 NCNPS member Dr. Larry Mellichamp made many contributions to the herbarium. Here Catherine shows us a few of his Sarracenia specimens. The back room, where herbarium pages are digitized and catalogued. You can see the cabinets where the pages are stored in the background. Two interesting specimens that were collected in the 1950s prior to the flooding that created Lake Norman. Dirca palustris has not been seen in Mecklenburg County since. WRITTEN IN BEAUTIFULLY ILLUSTRATED JOURNALS. COLLECTIONS OF DRIED PLANT SPECIMENS.